This was a fantastic book! I have been hearing about how wonderful it was, but was hesitant to read it (to be honest, the blurb on Goodreads turned me off to the book). I am so glad I did decide to get it! 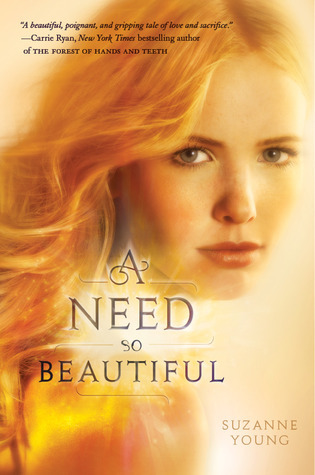 This book didn't follow the typical YA plotlines- Charlotte didn't meet a brooding handsome guy three pages into the book and start a steamy (and fast) romance with him. Instead, Charlotte already "got the guy". She has already been having "the need" since she was little. I liked the story started after her discovery- I didn't feeling like I was being told what was happening. I liked that the book didn't entirely focus on the romance between Charlotte and Harlin. I loved that the focus was on Charlotte's growth and understanding about what she was and what she had to do. I loved that the plot was so unique. I was completely engrossed in the story, and was genuinely surprised by events as they happened. This book wasn't predictable for me at all! I am so excited to know that this is a series- I can't wait to read the next one!